According to a study conducted in France by Norton, mobile phones are playing an increasingly important role in our lives, but users are not so careful with their mobile devices. 33% of French users have reported not being able to be away from their phone, especially their smartphone, which allows them to retrieve information but also to access their emails and bank details. 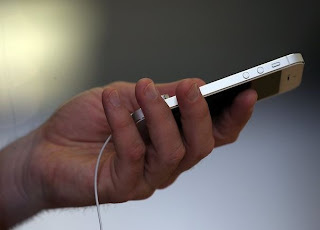 Nonetheless, French mobile phone users do not take the necessary precautions to protect their sensitive data. 65% of them admit that they do store confidential content on their mobile phones, while 36% do not even bother to protect their phone access, via even a single password. If you consider that 30% of the people have been concerned with their phone having already been stolen, the first thing to prevent anybody to access your personal data and sensitive information (saved passwords, access codes to your bank account …) is physical protection: protect your device with a password. In addition to financial loss, losing a mobile phone means allowing a stranger to access to your e-mails or bank details. Physical protection is not the only one, as mobile cybercrime exists, as is the case for computers. And dangers can come from several sources, as the French are not sufficiently informed nor prepared of it: 47% of them admit they download applications from untrusted sources and 59% make unsecured online purchases, thus providing much access points for hackers on the web. Wi-Fi points or unsecured web access also represent a third risk: 49% of French people use them to check emails and 19% access their online bank account through them. But these points can be targeted by “sniffers”, i.e. malicious hackers who use Wi-Fi to access unsecured data passing and can retrieve sensitive information from users. “By installing a mobile security software that protects you against online threats and lets you lock your device, locate and delete its contents remotely, you secure your life and protect yourself against potential intruders” according Laurent Heslault, an expert in cybercrime at Norton. Today, users know how to protect their computer against online threats, but many seem to be more lenient with their mobile phone, yet it contains not less sensitive information. Choose a VPN to avoid becoming the next victim of such attacks. 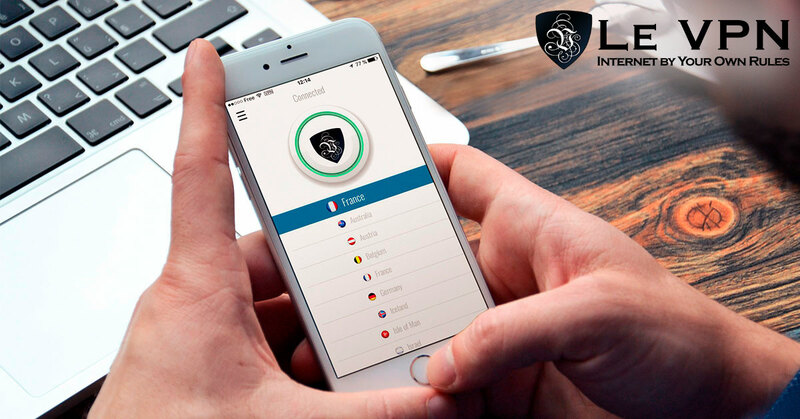 Le VPN service encodes your Internet connection by a complex encryption system, making it impossible for another party to have any interaction with your personal data. Any information you send will go directly into your secure virtual tunnel. You VPN traffic and your data will be out of danger. Our VPN service is compatible with several types of mobile devices to provide you with optimum mobile security solution. Our PPTP VPN works with iPhone, iPad or Android. Be careful when you connect to the Internet and do not forget to protect your traffic!